This is a dish of the moment. Courgette noodles are everywhere and they are super easy to make your own as you can add what every you fancy to make them a delicious pasta substitute . you can eat bowls of the stuff and feel full but not that bloated feeling that is all so familiar post a big pasta dish. You can eat them raw or cook them briefly for a few moments in boiling water, or stir fry to heat them. a good sprinkling of herbs and rind of a lemon. First, using a Courgetti Maker (Spirelli) make your courgette pasta and set to one side while you get your tomatoes roasting. Chop your tomatoes in half and drizzle with oil and balsamic, a good shake of salt and pepper and herbs - roast for 30 minutes until soft and bubbling. 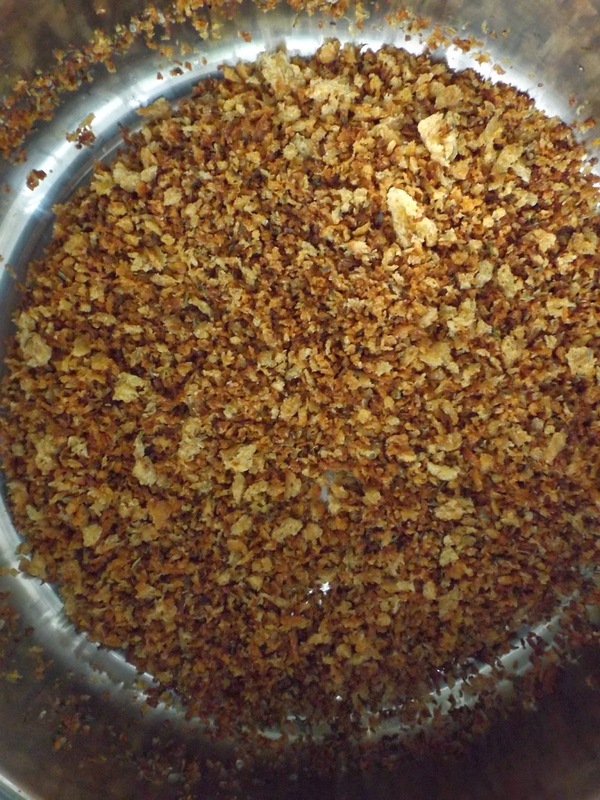 Next whiz up your crumbs and fry in a pan with some oil, herbs and lemon rind until golden and smelling delicious. 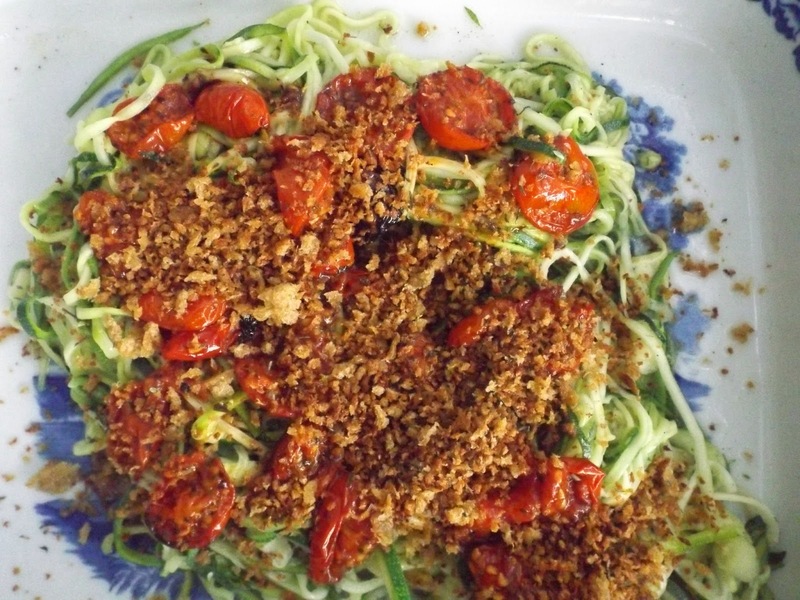 When your crumbs are toasted and tomatoes are almost ready pop your courgetti into a pan with some oil and garlic and ligtly stir fry for a few moments until soft then pile with your sticky tomato mixture and top with toasty crumbs. A great summer time dish and a fantastic summer substitute that almost everyone is convinced by!